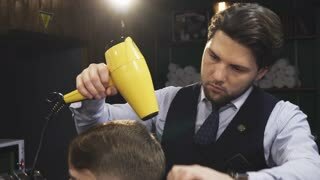 Unequaled barber is drying the hair of his client hair cape in the barbershop. 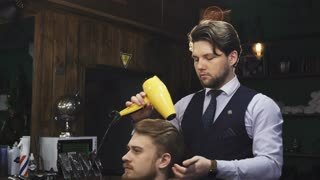 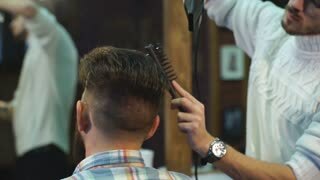 Male barber with a male client at barbershop. 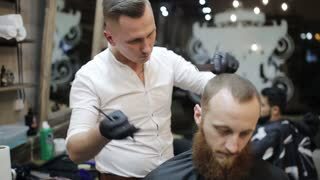 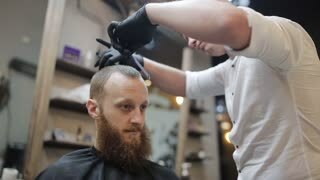 Barber cutting hair with scissors.